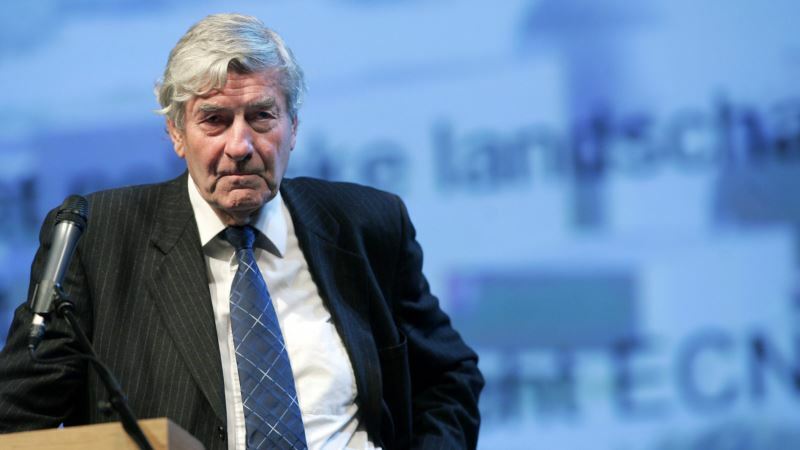 Longest-Serving Dutch Premier, Ruud Lubbers, Dies at 78 - Integration Through Media ....! (VOA): Ruud Lubbers, the Netherlands' longest-serving prime minister who guided his country through economic turmoil to prosperity and helped shape the foundations of the European Union, died Wednesday at 78. The Dutch government announced that Lubbers died in Rotterdam surrounded by his wife and children. No cause of death was given. Prime Minister Mark Rutte hailed Lubbers as a statesman who dragged the Netherlands through tough economic times. “With his broad knowledge and experience and his tireless creativity, he knew how to find a solution for every problem,” Rutte said on Facebook. Heading a conservative Dutch government from 1982 to 1994, Lubbers' policies were in step with his counterparts in Washington and London, President Ronald Reagan and Prime Minister Margaret Thatcher, as he trimmed back the Dutch welfare state, persuaded powerful labor unions to rein in their demands and ushered in years of growth. An economist by training, Lubbers believed the size of the Dutch government had become a hindrance to the country's economic health. He was sometimes criticized as too willing to compromise on principles, but to supporters he was a pragmatist and a dealmaker. Carrying the Dutch tradition of consensus politics forward, Lubbers struck agreements with unions to limit wage growth in exchange for low unemployment, and curtailed government spending. After leaving national politics, Lubbers' international aspirations were frustrated. A candidate to head the European Commission, he lost to Jacques Santer in 1994. He was tapped as NATO secretary general in 1996 but lacked American support and yielded to Spain's Javier Solana. He taught part-time at the universities of Tilburg and Harvard until 2001, when U.N. Secretary General Kofi Annan named him High Commissioner for Refugees. But his accomplishments were overshadowed by the sexual harassment case brought by an American UNHCR employee, Cynthia Brzak, who accused him of improperly touching her after a meeting in December 2003. Lubbers denied impropriety, saying he had intended an innocent “friendly gesture.” He fought for more than a year to save his reputation and job, but an internal U.N. investigation in 2004 found a pattern of sexual misconduct. Annan initially declined to act, saying the findings were not strong enough for dismissal. But under fire over this affair and the Iraq oil-for-food scandal, Annan asked the Dutchman to resign in February 2005. It was a major embarrassment not only for Lubbers but also for Annan, and ultimately led to a revamping of the U.N.'s whistle-blower policy. Born in Rotterdam on May 7, 1939, to a wealthy contractor's family, Lubbers as a young adult helped manage Hollandia BV. He and a brother became its co-directors in 1965 after his father's sudden death. A religious Catholic, Lubbers rose through the ranks of several powerful Christian employers' associations and the national Catholic political party. It merged with two other closely allied Protestant parties in 1980 to form the Christian Democrats. Lubbers was appointed economic affairs minister in 1973 at age 34, a post he held until 1977. He gained a reputation as a tireless, if sometimes abrasive executive, with a thorough knowledge of policy details. After the new Christian Democratic Alliance won elections in 1977, Lubbers headed its first parliamentary faction — a difficult position that required keeping unruly members from three parties in line to support Prime Minister Dries van Agt's government. Lubbers developed a lasting talent for casting policy stances in difficult-to-parse terms that satisfied all sides. When Van Agt unexpectedly stepped down after winning an election in 1982, Lubbers assumed the premiership almost by default. At the time, the country faced major economic problems, including a dangerously large budget deficit. But after striking an agreement with industry and unions, Lubbers began slashing spending, earning himself the nickname “Ruud Shock” in Time magazine. Although his profile was lower than that of German Chancellor Helmut Kohl and French President Francois Mitterrand, Lubbers played a key role in European political integration. He broke logjams at the 1991 summit in the southern Dutch city of Maastricht, which lent its name to the treaty that formed the EU and laid the groundwork for the shared euro currency. In 1984, he pulled off a compromise over a NATO demand that the Netherlands house medium-range nuclear cruise missiles, which ran into bitter domestic opposition. Lubbers agreed in principle to accept the missiles, but delayed placing them pending a parallel move by Russia. Eventually the problem was made irrelevant by the U.S.-USSR strategic missile reduction talks. He is survived by his wife Ria Lubbers with whom he had three children.